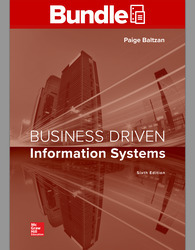 Paige Baltzan teaches in the Department of Information Technology and Electronic Commerce at the Daniels College of Business at the University of Denver. She holds a B.S.B.A. specializing in Accounting/MIS from Bowling Green State University and an M.B.A. specializing in MIS from the University of Denver. Paige also teaches online at Strayer University. She is the coauthor of several books, including Business Driven Technology, Essentials of Business Driven Information Systems, I-Series, and a contributor to Management Information Systems for the Information Age. Before joining the Daniels College faculty in 1999, Paige spent several years working for a large telecommunications company and an international consulting firm where she participated in client engagements in the United States, as well as South America and Europe. Paige lives in Lakewood, Colorado, with her husband, Tony, and daughters, Hannah and Sophie.